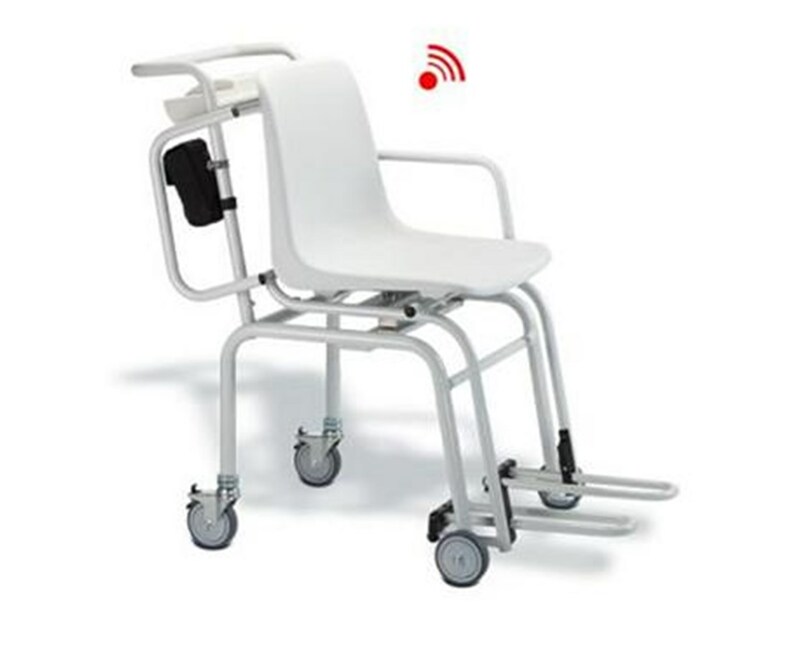 Seca 954 Digital Chair Scale with Wireless Transmission is designed to meet the needs of disabled, bedridden, elderly patients and the ones facing mobility problems. A well thought through design makes the daily weighing procedures easy and completely trouble-free being of an enormous help in rehab, orthopedics, dialysis, nursing homes and pediatrics. 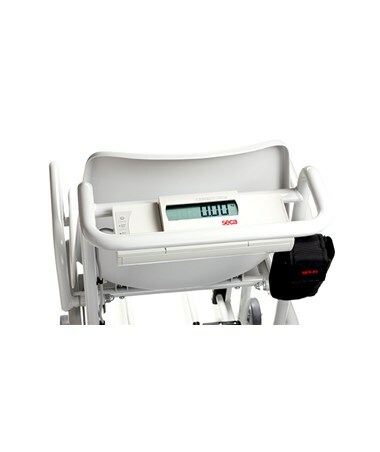 Intelligent, wireless and mobile, this Scale extremely lightens the workload of healthcare personnel and provides a truly flexible user experience. The 954 Chair Scale from Seca has been designed with a precise attention to every little detail aiming for advanced patient care and a trouble-free operator’s experience. The Scale has a chair-type construction and comprises an ergonomically shaped seat that accommodates patients with comfort. The fold-up armrests provide the so needed support and assistance for the patients to take a seat on the Scale easily and safely. The transformable construction ensures that the armrests can be put out of the way to allow easy Scale access. 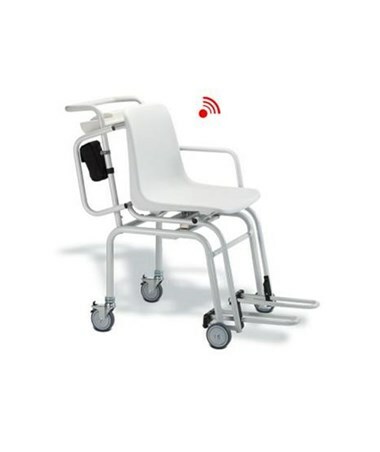 The footrests are as well transformable, aim the convenience of patient positioning and can be folded upwards and pushed under the seat for the patient to step off the Scale easily. 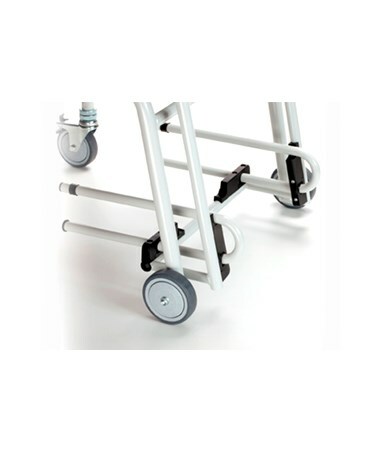 Sturdy wheels ensure Scale mobilily, but also comprise two break mechanisms to ensure stable unit positioning. Ergonomically-shaped pushing handle is just at the right height. As all Seca Scales, 954 model is a highly intelligent device that brings modern technology right at your disposal. This Scale is operated on rechargeable batteries so you do not have to look for the power outlet. A convenient pouch attached to the Scale frame provides an ideal solution for AC adapter storage. Along with a truly generous weight capacity of 660 lbs/ 300 kg this Scale provides a fine 0.1 lbs/ 50 g graduation for accurate weight monitoring. The readings are displayed on a large LCD screen that is conveniently located on a handle along with a simple, self-explanatory control keys. The outstanding Auto-Hold function that freezes readings on the display, allowing all the time you need to attend a patient, asses and record the readings. Tare and Pre-Tare functions serve to acquire the net patient weight with a push of a button automatically deducting the irrelevant weight. The BMI calculation function is easily exerted through the height selection out of the pre-stored values and allows a precise evaluation of the nutritional condition. Easy weight Units Switch-Over function as well promotes flexibility and offers a choice of kg or lbs. The automatic Switch-Off feature exerts a power saving function and promotes a completely care-free user experience. To allow a streamline, paperless, error-free and time saving workflow, 954 Digital Scale is equipped with Seca 360° wireless technology. This technology facilitates immediate data transmission to any PC with Seca USB wireless adapter and software ensuring a seamless integration into a hospital’s EMR system. For extended data management and processing capabilities the 656 model is compatible with Seca 466/465 wireless printers, 115 Seca analytics software and 101 EMR flash. To purchase 954 Digital Chair Scale simply click “Add to Cart” and complete your online order in a few easy steps. Tiger Medical offers a 30 day return policy from date of shipment for this product, subject to a 25% restocking fee, in addition to the return shipping charges. The product must be in new condition and in its original packaging. We take the responsibility to make sure this product arrives in brand new working condition. Should your item arrive damaged, we will replace the product at no cost to you.